DISCOVER Tybee has the latest information about when to go, how to get there, where to stay, how to get around, and what to do on Tybee Island. Presented by DeVivo Marketing with over 20 years of tourism marketing experience, DISCOVER Tybee’s printed publication is the best tool for enjoying a great Tybee vacation. We target the visitors in all the right places with our strategic circulation efforts. Printed annually and distributed at locations that include outdoor distribution boxes, hotels, shops, restaurants, and many other places throughout the island. 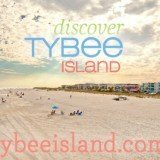 In addition, the publication, including your advertisement will be featured on our high traffic web site TybeeIsland.com. You can be a part of this great travel resource, bringing visitors to your business.